Professor Eric M. Freedman was named “Professor of the Year” by the Hofstra Law Review at the Inter-Journal Banquet on March 18, 2010. The award was presented by Michael de Matos, Editor-in-Chief of Volume 38 of the Hofstra Law Review, who lauded Professor Freedman as a terrific friend to the Law Review. Professor Freedman provided invaluable guidance with two legal history articles in Volume 38, including Professor William Nelson’s article on colonial New York law. 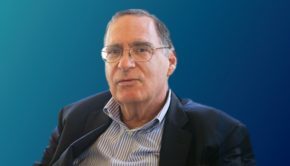 Professor Freedman also was the key figure in organizing the conference that ultimately led to Volume 36.3 of the Law Review, the Death Penalty Mitigation Guidelines issue.